We must make the building of a free society once more an intellectual adventure, a deed of courage. If we can regain that belief in the power of ideas which was the mark of liberalism at its best, the battle is not lost. If anyone thinks that Hayek’s suggestion has been ignored, they’re not paying attention. There has never been such a flood of good research, analysis, and commentary readily available backing up the kind of principles found in the platform of the Republican Party. The intellectual insurgency of socialist and collectivist thinking has been answered by an intellectual counterinsurgency defending free markets and traditional values. I have said for a long time that at some point large political and think tank donors need to start applying some kind of metric to the recipients of their generosity. Think tanks from coast to coast are producing a great deal of material and yet relatively little of it gets used. If someone would like to prove me wrong, please help me understand the budgetary red ink and “structural deficits” at both the state and federal government levels. We must make the building of a free society once more a grassroots communication adventure, a deed of courage. If we can regain a practical connection with more Americans, which up until now has been the mark of Democratic Party and big government supporters, the battle is not lost. The two ongoing points of emphasis on this website have been that our elected officials need to modernize their approach to their job and that the Republican Party structure must be modernized and professionalized at every level. Public opinion is job one, yet our elected and party officials are stuck in the mud of an earlier era. When the first Republican President Abraham Lincoln struggled to find a winning formula during the Civil War he put it simply—the Union must change its tactics or lose the game. 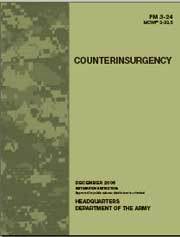 Today’s parallel for solving the GOP’s communication problem can be found in General David Petraeus’ 2006 “Counterinsurgency” field manual, which makes for very interesting reading. Success will require additional boots on the ground. That’s just one metaphor for the troop surge that will be required. We not only need a Republican renaissance we need a reformation in how business is conducted on the political right. Those troops will be needed everywhere to help advance a reform message. If boots on the ground represent the manpower necessary, several images could serve to illustrate what’s needed when it comes to the political communications infrastructure that must be built. Telegraph wires, telephone polls, broadcast antennas, cable wires, cell towers, and satellite dishes come to mind. You pick. 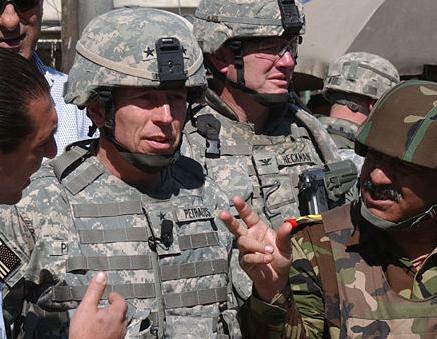 All that we’re missing is the Petraeus kind of leadership. Everything else is in place. The think tanks and commentators have given us more words than we can use. Several times in the last couple of years we’ve witnessed grassroots energy responding to a credible call for action. It just hasn’t been sustained. Now we need generals and lieutenants who can meet the challenge tapping and maintaining energy on the political right. Today, the GOP needs exactly what was needed in Iraq in late 2006: competent leadership. A friend recently emailed me and suggested that the political right was on the verge of irrelevance in this country. I disagree, since many people have already been reached by the think tanks, talk radio and Internet as to what changes are needed in this nation when it comes to governmental policy. They get it. Traditional values, small government, and a courageous but wise foreign policy aren’t optional. The problem is, while the political “right” might number in the tens of millions, it constitutes only about a third to maybe 40 percent of the electorate. These millions of people will never stop their fight against Barack Obama’s version of change—which actually represents the hopes and dreams of every socialist and proponent of left wing social agendas alive today. Too few Americans are being reached with the conservative message. If anyone would like to demonstrate that I’m wrong, please include something about why those Obama and party identification poll numbers are what they are today. Certainly we all know the story about Iraq by now. We have just lived through an incredible and historic turnaround smack dab in the middle of a region many people considered lost to extremists. In July 2008 we’re winning the war and even members of the ever-confused pacifist political left are admitting it. Barack Obama’s speechwriters are working overtime to come up with a way for him to avoid admitting he was deadly and dangerously wrong. We didn’t need a new President. We needed a new military commander on the ground that had a better strategy. President George W. Bush found the man with the plan in General David Petraeus. In the next couple of essays, I’ll outline how the Counterinsurgency manual parallels exactly what’s needed when it comes to the political communications ground war here at home. The “intellectual adventure” Hayek referred to isn’t enough. We need a troop surge, and a new strategy for countering the radical social left wing and its taxeating leviathan twin. Up next: Counterinsurgency and modern political communications.